What makes Sandtastik® products safe for use in schools, homes, churches, art clubs, etc? 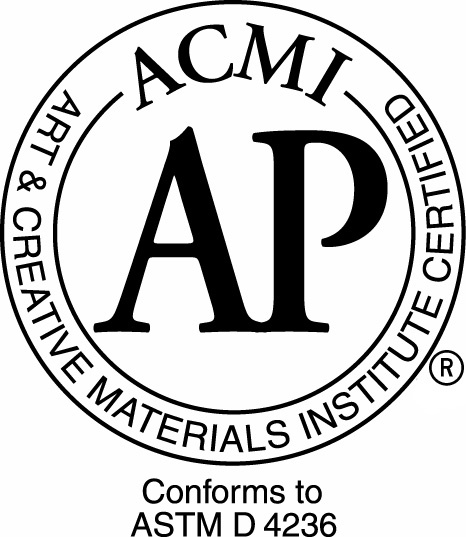 This certification seal is to ensure that the packaging and product are in compliance with the highest safety standard. What do we mean when we say that our sand contains no free silica or quartz? Firstly, let’s examine sand found in dunes and on beaches. Toxicologists have proven that some of those tiny little grains of sand may contain known natural carcinogens. A carcinogen is a substance that causes cancer. Substances like silica and quartz through prolonged exposure to skin, inhalation or ingestion have potential health risks. Sandtastik sand is made from the feldspar family of rock which does not contain any carcinogens. It is 100% pure safe sand. Do Sandtastik® products contain any of the asbestos minerals including tremolite asbestos? Asbestos has 6 types of minerals that are widely known as carcinogenic. One of them being tremolite asbestos : a toxic needle-like fiber small enough to inhale when airborne. Any product containing even traces of these minerals run a very high health risk and would be denied access to the open market long before it hit the shelf in a local store. Sandtastik®’s complete line of products contains no such traces of these harmful minerals. Will Sandtastik® Sparkling White Play Sand grow mould over time when it is moist/wet? Sand is an inert material which is not capable of absorbing any fluids. Should mould be present in your outdoor sandbox, it (bacteria) has been thriving on a high moisture environment and is not receiving adequate drainage. This can occur when using solid material (plastic, wood) for the bottom of your sandbox. Be sure to drill out a few drainage holes to encourage a healthy sand play environment. How often should I wash Sandtastik® Sparkling White Play Sand? If I'm using a plastic swimming pool as my outdoor sandbox, what do you recommend I do so that it is properly drained? Sandtastik Play sand is inert and does not absorb any moisture, but the liquid that would collect at the bottom of the sandbox from rain or condensation can allow bacteria to grow. You can remove the moisture by letting the sun evaporate it, or provide drain holes in the bottom of the sandbox. If you add drain holes, you could use landscape fabric under the sand if the sandbox is on the grass, but you can just put the sandbox on the cement porch and make sure the moisture has a route away from the sandbox. Giving the sand a stir will allow the moisture to escape from the heat of the sun rays. White Play Sand vs Therapy Play Sand: What's the Difference? Sandtastik has now expanded our signature safe play sand to include a new coarser option with Therapy Play Sand. Essentially, these new sandy grains are made from the same soft, sparkling feldspar rock as our regular sand only in a larger sieve range. To learn more about sieve ranges, view the Side-by-Side Specifications below. This is mainly a choice of personal preference…. Some prefer the coarser option because it stirs up less sand dust in the air and some prefer the finer sand for its traditional compacting characteristics. Does Sandtastik® have a drop ship program for online retailers? Develop your complimentary product lineup with Sandtasik® Drop Ship Program. How are Sandtastik® products used in schools? Have a sand layering party in your classroom with Sandtastik®’s Party Pack. Kids will enjoy creating with Sandtastik®’s Class Pack - a rainbow of sand colors for arts & crafts time. 100% safe, natural sparkling White Play Sand for sand & water tables, sand boxes, sensory tables and at home. How are Sandtastik® products used in Festivals? Ask any child what some of their favorite festival activities are and we’re positive that the booth with the colored sand will rank near the top. It is not uncommon to be waiting in line just to put sand in a bottle. That’s because our tiny twinkling grains are bursting with vibrant color! Choose your bottle and scoop in all your preferred tones right to the rim. Cap it and presto, a sand art kaleidoscope of color made by you! This treasure lasts a lifetime. Now you can bring the fun home with Sandtastik® Sand Art Activity Kit. Makes 8 sand art bottles. Looking for an exciting birthday or party game? Try Sandtastik® Party Pack Sand Art Kit. Makes 25 sand art bottles. When using the ACTIVA® Flower Drying Art Silica Gel, is it possible to dry a whole bouquet without separating the flowers and cutting off their stems? The stems don't need to be cut off, but the flowers need to be separated from each other because each type of flower requires a different amount of time to dry.